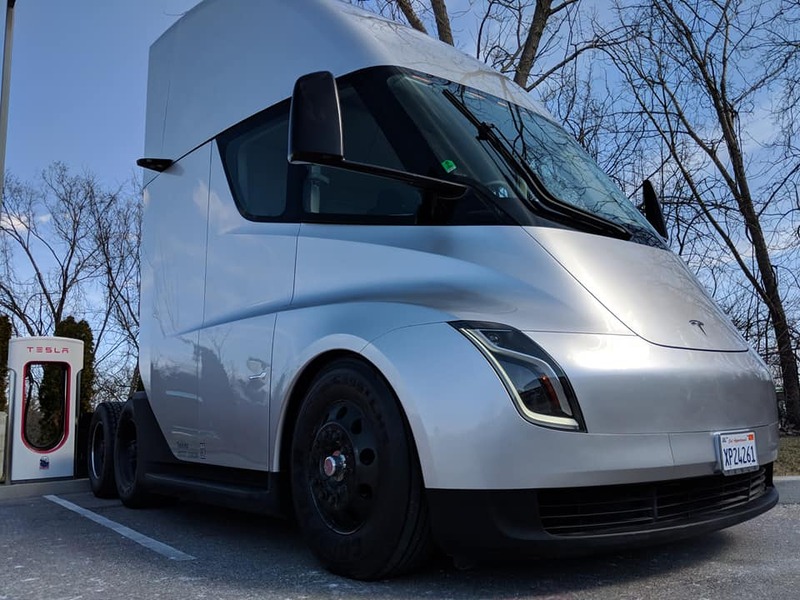 Tesla Semi trucks are in the limelight since Elon Musk posted a couple of pictures of the trucks online last week. 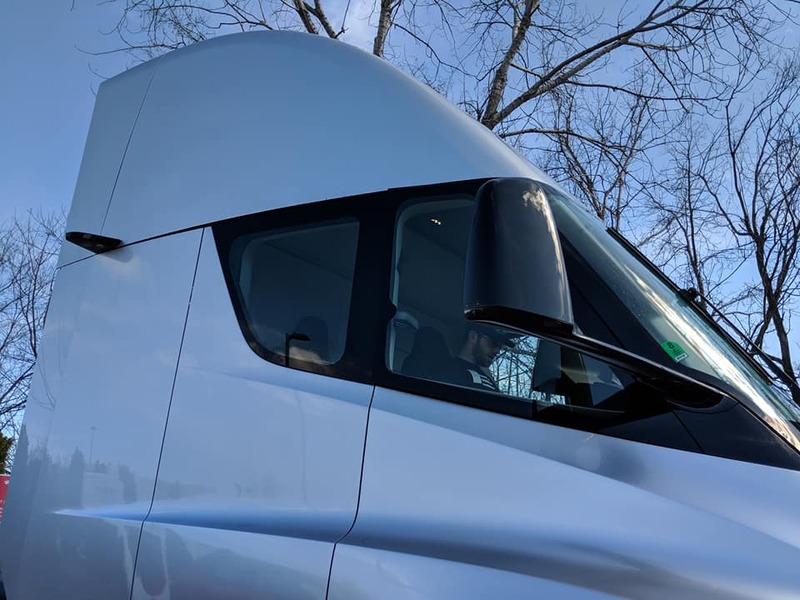 Tesla enthusiasts are stalking the Semi trucks since then — posting pictures and videos of the trucks on social media. 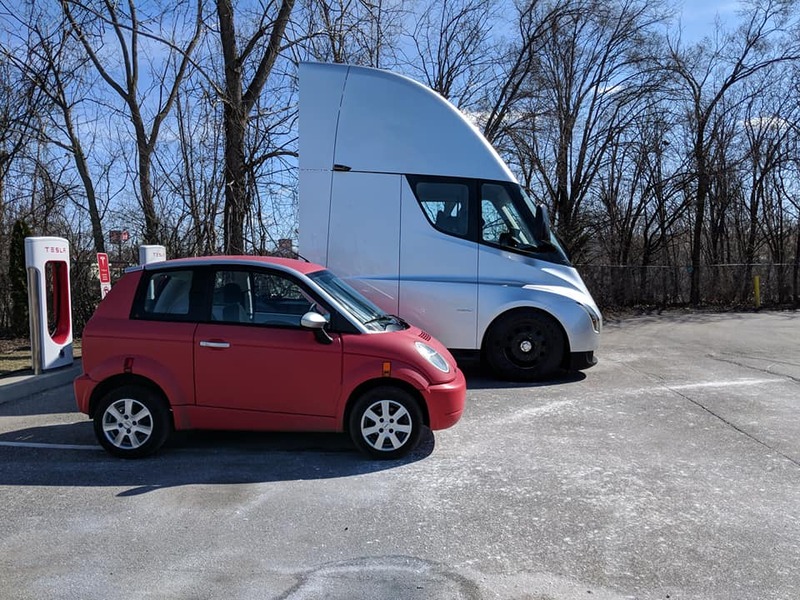 This week’s first spotting of the silver Tesla Semi cropped-up from the facility of the beer giant ‘Anheuser-Busch’ in St. Louis, MO — this Tesla customer placed an order of 40 Tesla Semi trucks in December last year. 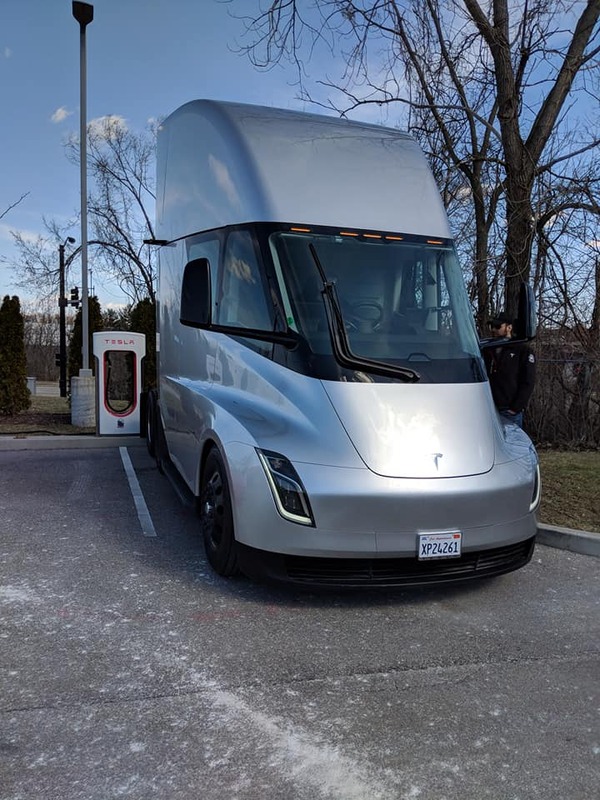 Clearly Tesla’s purpose of sending the Semi 2,000 miles away from Tesla factory in Fremont, CA was to demonstrate the ability of the truck to their corporate customer. 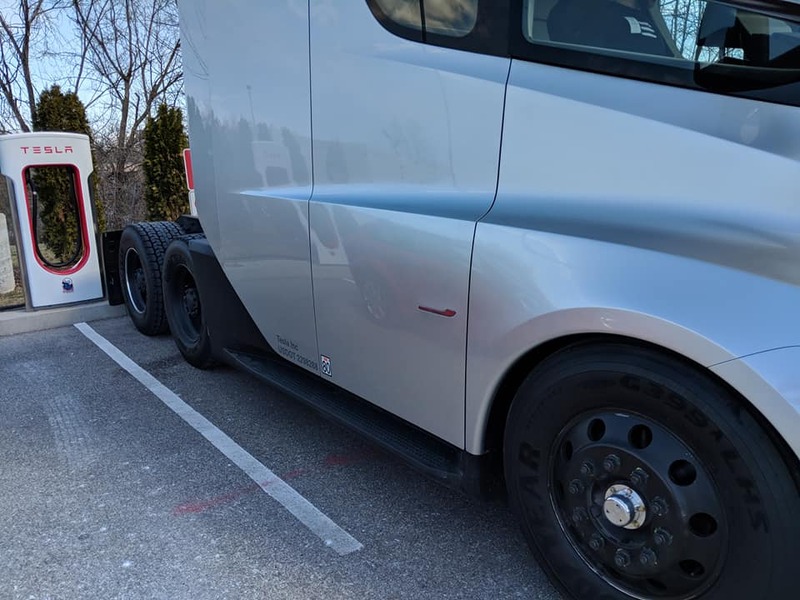 The next set of closeup pictures (below) were posted by Kyle Feller of the Tesla Semi truck Supercharging at the St. Charles, MO supercharger. 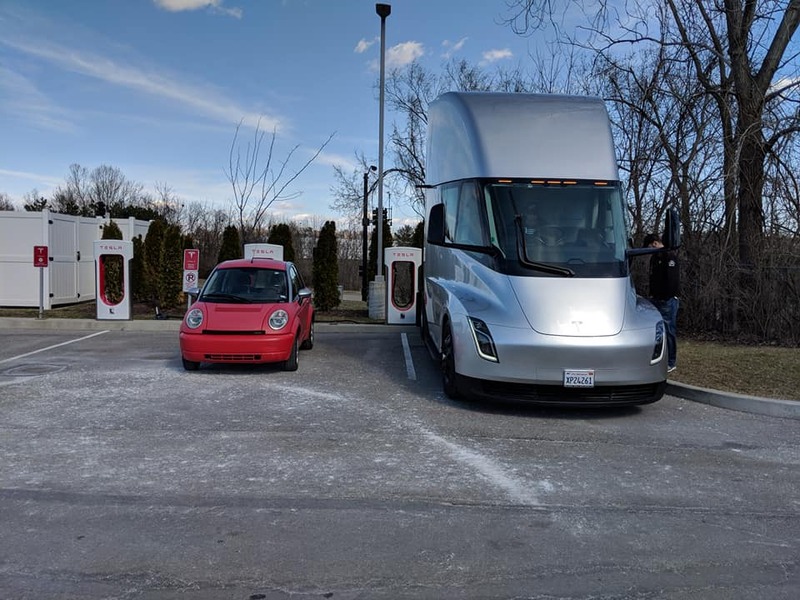 This shows that the Tesla Semi prototype trucks are currently using the Supercharger network for their long trips — although it’s not clear how much Supercharging time it takes for the trucks to start their next journey. Kyle was not able to get more insider information as the drivers were friendly but not very communicative. * Click/Tap the photos below to launch the gallery and zoom-in. 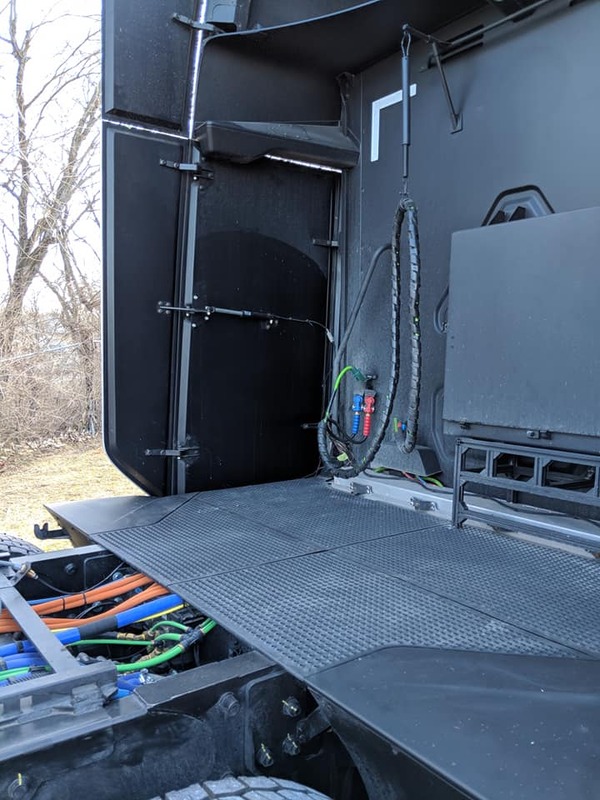 Tesla Semi trucks have a totally different charging port also called the Megacharger port (phtoto/video below by Kman Auto) by the Tesla enthusiast community — surely the prototype trucks are using some sort of converters to use the Supercharger plugs as the Megacharger network is not yet present but a future plan.